Not What I Wanted to Hear at My DEXA Scan, or Was It? Activate NowLimited time offer FREE lifetime membership including 7 part weight loss video series. How many of us have dieted and trained the house down only to jump on the scales at the end of the week and to see the needle not budge an inch or worse, move in the wrong direction and show an increase in body weight? It’s completely demoralising and enough to make you want to shove a whole chocolate cake in your mouth and inhale it whole. There are of course many reasons the scale might not move as noted in our article why your body weight fluctuates. However a DEXA scan might just be the fix I was looking for. 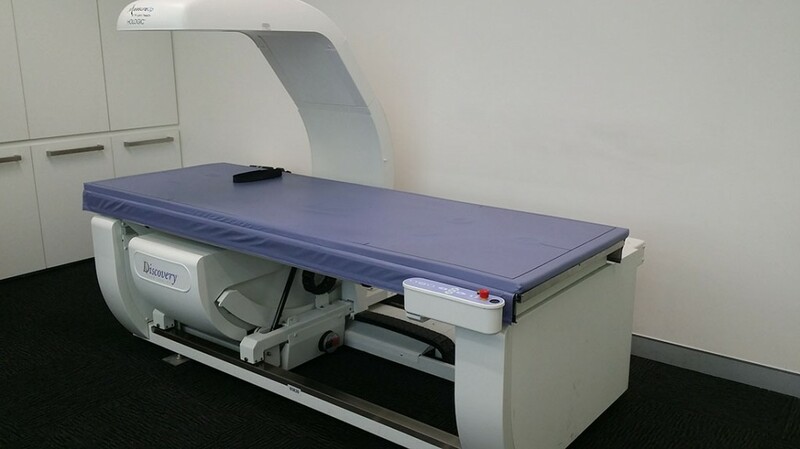 This is a DEXA Scanner at Measure Up in Sydney Australia. You lay down on the table and the scanner makes 3 passes all in all about 2 mins in total of your time. Shoes and jewellery off and everything else stays on…too easy. It was just after the festive season and as usual it gets a little hectic with family and friends, lots of rejoicing and eating. My New Years resolution was to get back down to my previous best of 13% body fat from a current 23%. I was on a calorie cycling program whereby I would eat less calories during the week, around 1700, and on the weekends I would push that up to 2300 calories. I went down the path of calorie cycling, in part, to help preserve muscle mass while shedding body fat at the same time. It was something I discussed with the team at measure up Sydney during my baseline scan and we both agreed this was the best way forward for the results I wanted. I was pretty strict with it and kept track of everything I ate on my Samsung smartphone using the Lifesum App (highly recommended if you’re thinking of tracking your calories or wanting to plan your meals for the week). Training involved 3 sessions of Crossfit a week every Monday, Wednesday and Friday and I tracked this with the Digifit app (again highly recommended) . If you’ve experienced a Crossfit session then you understand how intense they actually are. However, no matter that I was absolutely spent after every session, I still managed to jump onto the treadmill for a 20min run just for good measure. Maybe I’m just a sucker for punishment. It was a morning like any other – I woke up, got ready, went to the toilet and skipped breakfast as I do for all my scan days. I don’t condone skipping breakfast regularly and I only do it for when I have a DEXA scan – I almost always have something to eat afterwards. As a side note I’d like to confirm that fasting before a DEXA scan is NOT a requirement, it’s more something I like to do before I weigh myself…it’s one of my idiosyncrasies. My appointment was for 10:30am and like clockwork the technician Luke called me in. We had a brief discussion on how I thought my progress was going for the month and then I jumped on the scanner table. 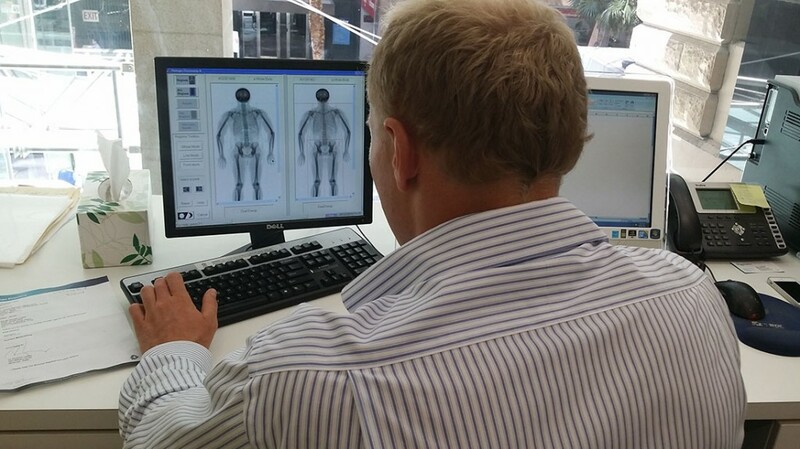 It really is the quickest and easiest way to obtain an accurate body composition reading. The scan itself only takes 2-3mins and the whole time I kept thinking have I really done enough this month? I don’t know why I had this self doubt, I knew I had done enough, I just found myself questioning it. In reality it’s only normal I suppose and most of us go through that exact same mentality before we jump on the scales. I jumped off the scanner and was putting my shoes back on. There was this eerie silence in the room, you know, that awkward silence when each of you are waiting for the other to say something. Luke was going through the results and putting everything in it’s right place before delivering me the news as any good technician would. The Dexa Scan Technician looks over my results and makes sure everything is in order and then delivers the news… bad or good what will it be? Finally with what seemed to me at the time, the subtlety of a sledge hammer (sorry Luke :-D), he says you’ve put on 2kg (4.4lbs). My heart literally sank. Luke kept on talking and explaining what just happened but I had zoned out completely, the whole month flashing before my eyes. I found myself second guessing everything I had done and everything I know to be true when it comes to weight loss and fat loss. At some point Luke must have noticed that I wasn’t paying attention and he had to tap me on the shoulder to bring me back to the conversation again. His next words were “great job mate” and “keep it up”… Huh! Did he just say great job and keep it up? Those two phrases snapped me back into the present. I looked at him a little dumb-founded but he went on to explain how I had lost 1.5kg (3.3lbs) of pure fat and piled on 3.6kg (5.6lbs) of pure muscle. He even went on to explain exactly where that new muscle was deposited, because that’s how accurate a DEXA scan can get. I hadn’t trained leading into the festive season and had taken a good 6-8 weeks off. When I got back into the swing of things my body responded by not only reducing my body fat but by also increasing my muscle mass by a staggering 3.5kg (5.5lbs). Now imagine I had jumped on to some ordinary scales at home – I would have been absolutely devastated and in all likelihood I would have inhaled that chocolate cake I mentioned earlier on. The best motivator during a fat loss regime is to see actual progress throughout the process. A lack of results is an absolute game killer. But are we really getting the whole picture when we jump on the scales? I discuss this in more detail in 4 easy ways to measure fat loss? What I learnt that day, is not to doubt yourself, especially if you have been tracking your food and exercise like I did on the Lifesum and Digifit apps. If you really have been following your diet and training and you jump on the scales and don’t see a difference then chances are you’re not getting the full picture and to persevere with what you’re doing. In all likelihood the results will become apparent in the following weeks. We’re so glad to see you here! Click the button for an overview of what you’ll find inside your membership area.